The history of Cumin goes back over 5000 years. from Iran and the Mediterranean. 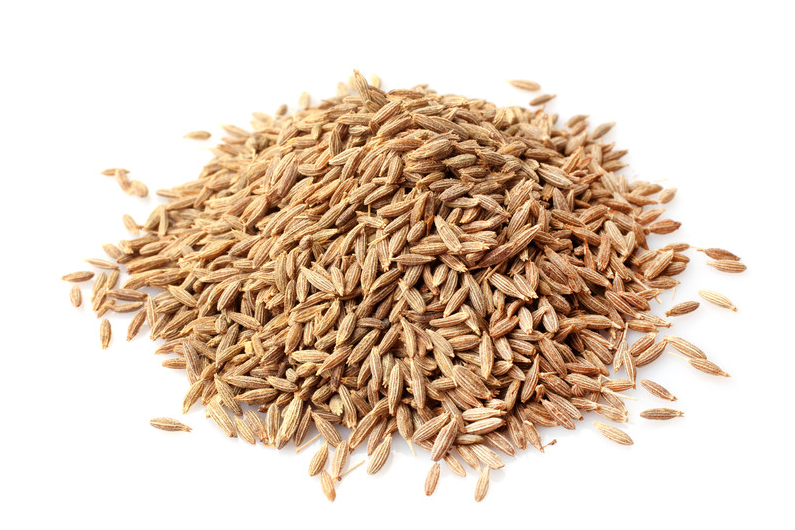 Cumin is a small seed that comes from the Cuminum cyminum herb, a member of the parsley family. This seed has a distinct flavor, and warm aroma. It is a major ingredient in chili powder as well as curry powder. According to the Bible, Cumin had such a powerful medicinal value that it could be used as money! Cumin has an overpowering smell and should be used very sparingly. Yet it is considered non-toxic, non-irritant and non-sensitizing. It does have photo-toxic qualities, so it should not be used when the skin will be exposed to sunlight. Photosensitization, and photo-toxicity can occur when certain essential oils react when exposed to Ultraviolet UVA light. Inflammation, blistering, and reddening/burning of the skin are common. Cumin is useful as a warming oil and helps relieve muscular pains and osteoarthritis. In the digestive system, it is a stimulant that helps with colic, dyspepsia, flatulence, bloating and indigestion. For the nervous system, it is a tonic, and has a beneficial effect on headaches, migraines, and nervous exhaustion.